Returns, nobody loves them but pretty much everybody that sells anything deals with them from time to time. You know what they say, you can’t please all of the people all of the time. Every once in awhile, someone is going to want to send something back. 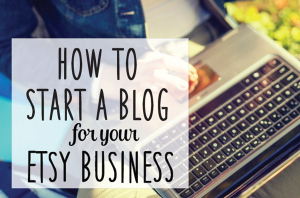 How you handle that can make a big difference in the long term success of your business. Do you see it as an expense? A huge pain in the backside? Just another way for you to get short-changed? Or do you see it as an opportunity? A chance to show your customer that you really do care about their satisfaction with both your products and the experience of shopping with you. 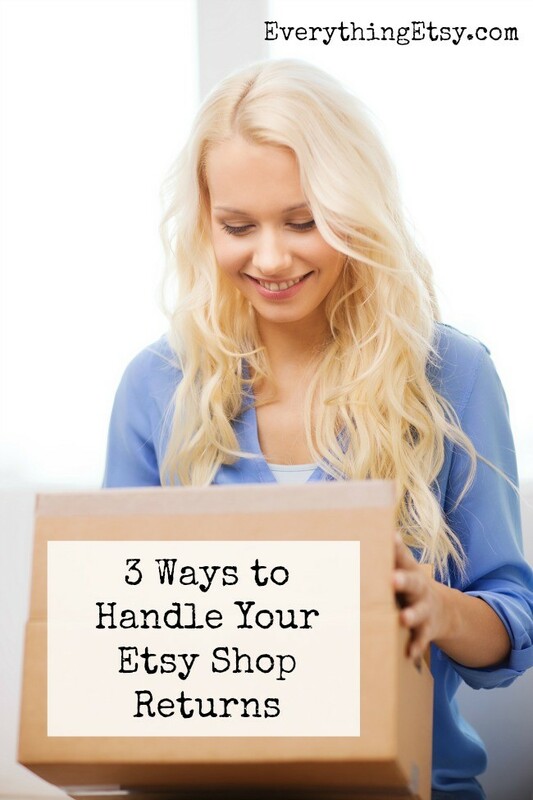 Remember, the parts of shopping on Etsy where the customer is dealing with YOU personally rather than the Etsy platform are your biggest opportunities to build your own brand. If you handle returns well, you can at least make the most of the situation. There’s always time later to go back and look closely at why returns are happening and work to reduce them. Knowing ahead of time how you’ll handle returns can really reduce the stress you feel when it happens. Not surprisingly, there are almost as many return procedures out there as there are shipping methods so deciding at the last minute can be frustrating. Here are three methods you might consider. You could just tell your customer they’re responsible for return shipping and leave it at that. Give them your address, and if/when the package arrives credit the customer for the return, assuming it’s all in order, not used, and in original condition. The advantages of this are pretty clear. Almost all of the work goes to the customer. They spend their time packaging and filling out labels and you don’t! They spend their money on return shipping, not yours. The disadvantages are just as obvious. 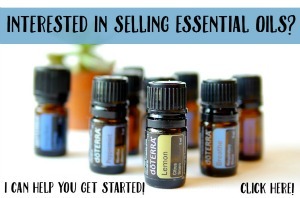 You’ll probably never sell anything else to that customer and, unless you’re selling something very unique in a market where this kind of arrangement is the norm, you run the risk of getting negative feedback on Etsy and who knows where else. Like it or not feedback is key in online business so bad feedback can really hurt. If your product is just super hard to find and customers are easy to come by, this may be the best method for you. It discourages returns and takes the hassle of them off of you. But for most businesses, this isn’t a good long term strategy. In this scenario, you as the seller are ready to help with returns, but the customer does need to go through some steps to make it happen. Most likely they would contact you by email or convo and explain the need for a return. Maybe the item doesn’t fit, it was damaged in shipping, or it’s just not what they expected. In any case, they want to send it back. If your shop policy is to pay the cost of return shipping this can be a great opportunity for you to take care of your customer while also covering yourself. You can create a PDF return label and email that to your customer who can then print it out and slap it on the the box. Easy peasy! This method helps protect against those less scrupulous buyers who are just looking to get a credit or a refund and don’t intend to actually send anything back to you. If you’ve read EverythingEtsy.com for awhile you probably know that we use Endica for our shipping labels. We have an account directly with Endicia and software installed on our computers that we use for all USPS shipping labels, no matter where the order comes from. So for us, this process is very simple. We just enter the correct addresses on our label in the software and when we reach the point where we would normally print to our label printer, we just change printer options and print to a PDF file. That file can then be emailed and printed by the customer on plain paper. Etsy used to have this option built-in as well, but I’m not sure if it is any longer… I found this thread talking about it in the Etsy forums. If returns are a fairly rare thing for you, this may well be the best option overall. Another feature of the Endicia platform is that it offers online shippers the ability to send out return labels with every single (domestic) order and only pay for the postage in the event they are used. If you’re in a segment such as clothing, where returns can happen frequently and/or the customer’s perception of the return process is a major factor in the purchase decision, this may be the way to go for you. This kind of return system can also be great for unique business models that actually plan for returns, such as a “We’ll send you three t-shirts in your size every month, pick the ones you want and send the rest back to us!”. No matter how you look at it, including a pay-on-use return label with your orders sends a crystal clear message to your customers that you care about their satisfaction in a big way! And thankfully Endicia makes it easy to do. The bottom line is that returns will happen and while they can be costly and annoying, they can also be an opportunity. Sellers who see it as such and consider the expense akin to advertising will do well in the rising tide of selling online. If the options that Endicia offers sound good to you, you can take advantage of a special offer for EverythingEtsy.com readers. 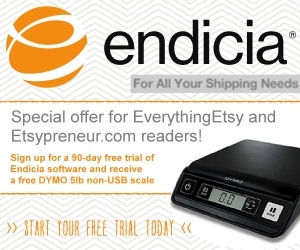 Endicia is offering a 90 day free trial and a free 5lb postage scale for our readers. Here is the link to that offer.